After that, he worked for Toyota on advanced engine research and had a spell liaising with the European Union on energy issues. He returned to Toyota, working on the development of the Prius hybrid, firstly on economy and emissions and then on the building and global distribution of what has become the world’s most successful hybrid car. 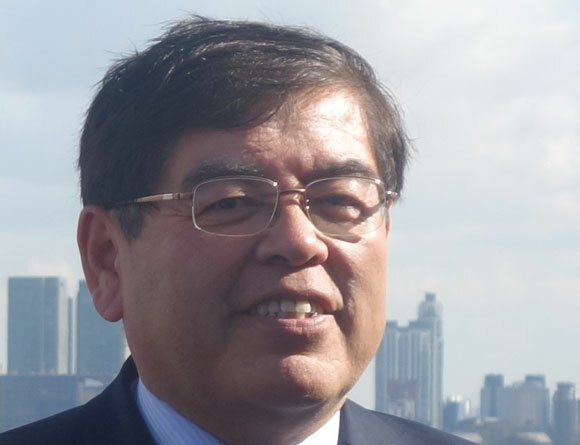 Hirose points at his lapel badge and suggests proudly, but with underlying Japanese modesty, that he is known at Toyota as ‘Mr Hybrid Synergy Drive’. Today, the description of his job on his Toyota business runs to six lines, but it is probably easiest to call him Mr Hydrogen – Hirose is in charge of Toyota’s advanced research into hydrogen-powered cars. Hydrogen-powered cars have been under development by Toyota for at least two decades. The first concept version was based on a RAV4 and unveiled in 1997. In simple terms, Hydrogen power cars are propelled by electric motors. The electricity is generated inside the car by pushing Hydrogen gas through what’s called a fuel cell. The fuel cell splits the hydrogen into electricity and water: the electricity powers the motors and the only waste product from the exhaust pipe is the water. It sounds like an ideal, environmentally-friendly, alternative to fossil fuels. Hirose shows us Toyota research which suggests Hydrogen fuel-cell vehicles have an efficiency of 36 percent, compared to 24 percent for battery-powered vehicles and 28 percent for vehicles powered by compressed natural gas. You might say Hydrogen is electricity in gaseous form, which means it can be stored and transported relatively easily. It also means that a FCV (Fuel Cell Vehicle) can be ‘recharged’ in three minutes with enough hydrogen to travel 350 miles. Compare that to the hours needed to recharge a battery car, which has a much shorter range. Toyota showed its first practical FCV, the FCV-R, in 2009 and Hirose says that a production version will arrive in 2015, sold in ‘limited areas’ in Japan, Europe and North America. As ‘tens of thousands’ of FCVs are sold each year by 2020, Toyota reckons it can eventually reduce the cost of fuel cell production to 1/20th of today’s manufacturing costs. But Japan itself has another reason for seeing wide-spread use of FCVs. In the event of the kind of natural disaster that is all-too-common in the country, FCVs could be used to provide emergency power. 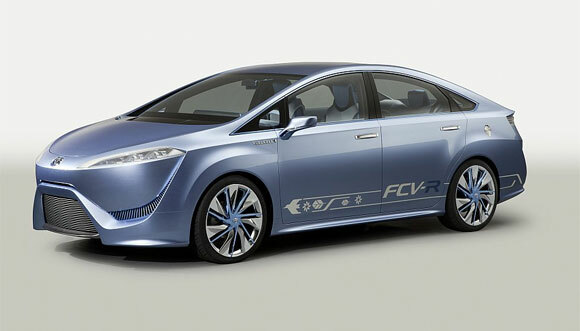 Hirose says that one FCV car could produce enough electricity to power an average house for a week. A fuel-cell powered bus could light an evacuation centre for five days and two buses could power a hospital for a week. Find out why Toyota has joined the London Hydrogen Partnership here.